You might already be familiar with the Textile & Fashion Hub, at the heart of many of TFIA's activities and events. The Textile & Fashion Hub formed as the result of a collaboration between The Council of Textile & Fashion, The Australian Government /AusIndustry, and TFIA members Kangan Institute. For those of you new to the Hub, or looking to see how their services can benefit your business - here is an outline of what is on offer. The Textile and Fashion Hub is a unique, purpose built, state of the art facility, located in the heart of Richmond, at Kangan Institute. The Textile and Fashion Hub is the missing link between the birth of a creative concept, and its final emergence as a finished product. 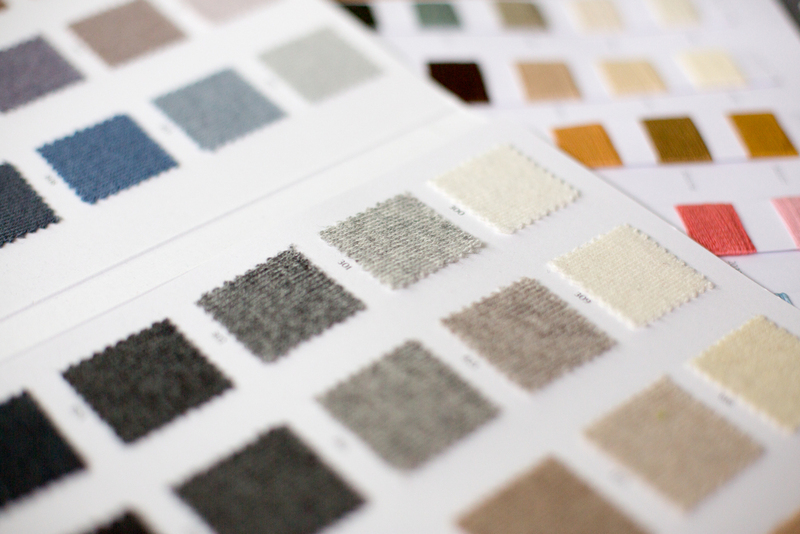 Our industry experts are available to assist designers and businesses with their garment development and manufacturing requirements, with a series of options and packages for the knitting and printing of garments. If you are a designer, a student or a small business looking to execute your projects locally, the Textile and Fashion Hub can help you. Sampling & short run manufacturing services in regarding to 100% Melbourne made knitwear. You can come to us for 1 garment or bulk. We make fully fashioned knitwear as well as piece work. We specialise in natural yarns. We can work with you and guide you to the best, most cost effective and professional way to make your garments. Sampling & short run manufacturing services in regards to digital printing in site. We specialise in pigment digital printing on natural fibres in particular silks & cottons. We also have a garment or placement printer. This uses digital print technology to print onto your finished garment or fabric. Our 3D body scanner creates an accurate point cloud of the body which is used to extract measurements of the scanned subject. This provides powerful insight into fit and pattern development. Working together, 12 cameras produce an accurate digital reconstruction of the body. We offer customised industry training for designers, small business and large business. These can be in the form of workshops, seminars or whatever your need may be. Room hire. We have a number of well-equipped rooms of different sizes suitable for your presentation, work meeting or summit. Our rooms can cater for a meeting of 12 people in our boardroom to our seminar room which can cater for up to 70 people. All rooms have interactive screens, internet and optional catering. Prototyping– Create a prototype to test the viability/feasibility of your concept, and to gain a clear insight into the look and feel of the end product. Sampling– Create a completed sample of your product to test and take to market. Short Run Manufacturing– Want to take your designs to market and not have to manufacture in bulk? At the Textile and Fashion Hub you can take advantage of short run manufacturing to ensure exclusivity and minimise waste. The Textile and Fashion Hub is one of the only places in Victoria where you can undertake short run manufacturing for both knitted and digitally printed garments. We are very proud of this industry resource and highly recommend checking out what the Textile & Fashion Hub has on offer. The team run tours every Tuesday afternoon from 4-4.30pm. It's a great way to see what the space is all about.